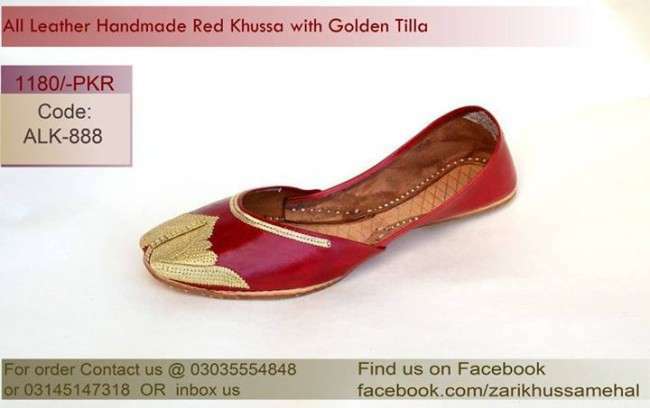 Khusaa is our traditional footwear. 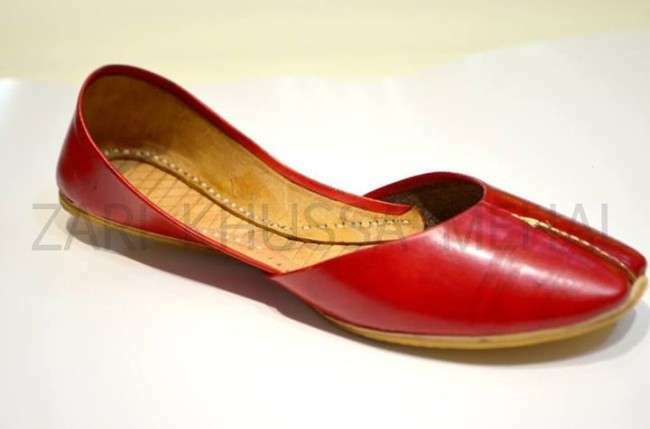 Khussa is a long shoe with curled ends on the upper side. 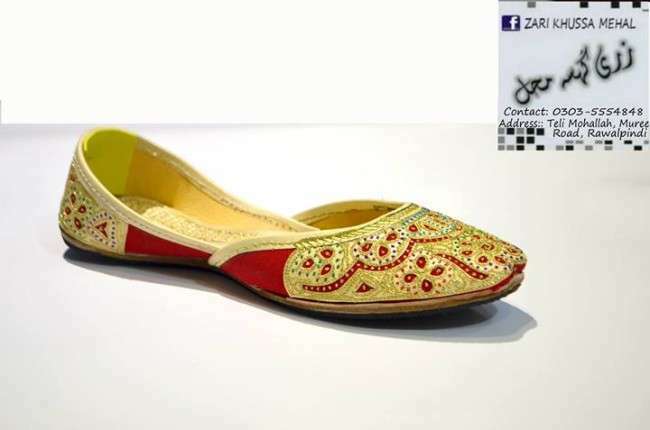 They are made up of leather with wide range of embroidery in gold and silver thread. Khussa is common in North India as Punjabi jutti. Now this trend is famous in West too. 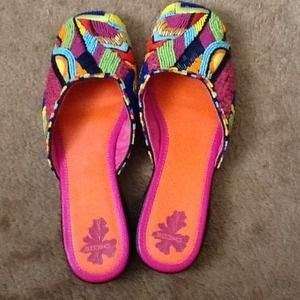 These are traditional ethinic Indian Footwear. It is a perfect traditional style that gives you a perfect look on cultural events. In Pakistan, khussas are very common on different occasions like mehndi, mayo and with different cultural dresses. 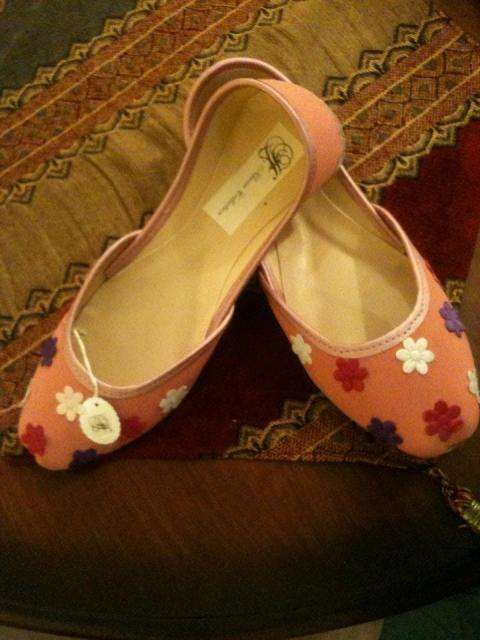 But now khussas are available in different types, colors and designs and are used as casual and formal wear. 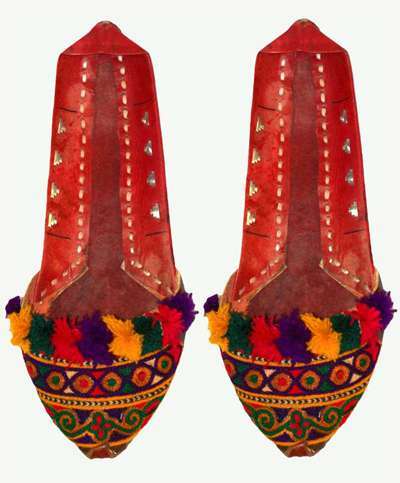 There are large variety of khussa that are accessible for both men and women. Now you can see khussas are made according to the design and embroidery of dresses. 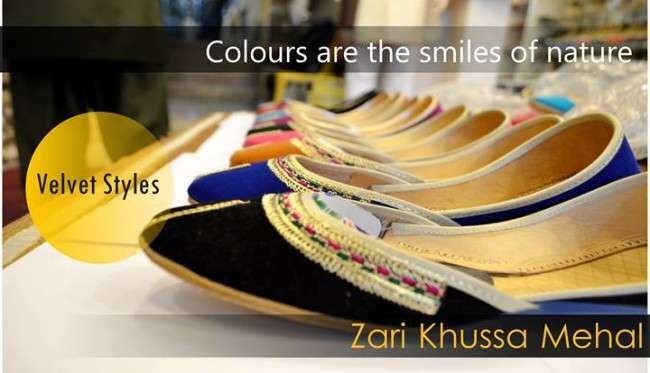 People used to wear them on traditional occasions like weddings and along with traditional dresses like sherwani or kurta pajama, but today khussa has turned into the classic form of accessory that can be worn anywhere anytime. Sufficient variety are available in khussas, various designs and colors with convoluted artwork, kundan brooches, gold-plated flourishes, banarsi fabric with pearl and stone nuggets. 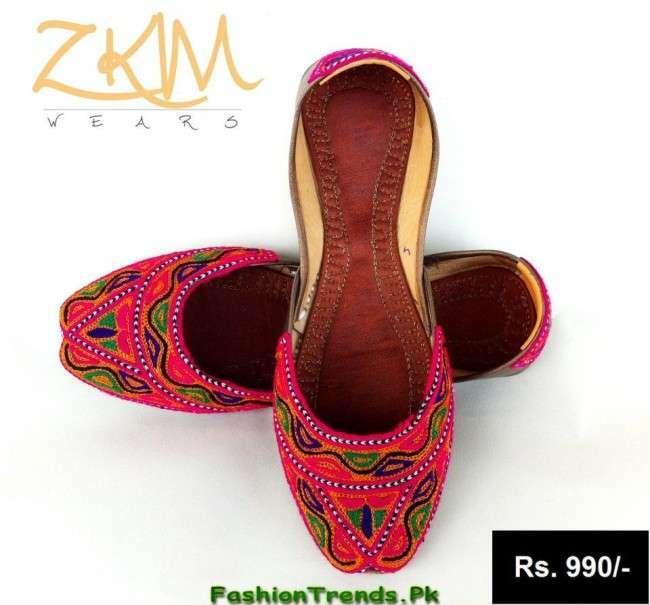 This selected Latest Khussa Collection 2014 is available in all the main stores of Pakistan with latest styles, designs and attractive color combination which catches the attraction of customers. Shoes in this collection are purely made up of leather with embroidery and stone work. We can also use these on weddings and evening functions. 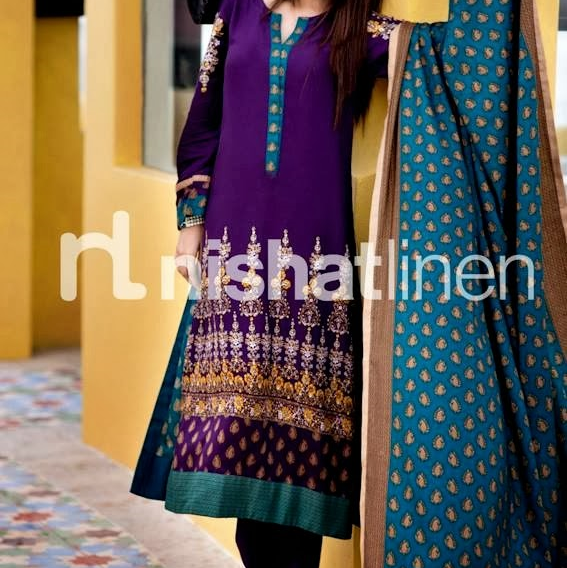 Different brands made their own khussas in embellishing designs. 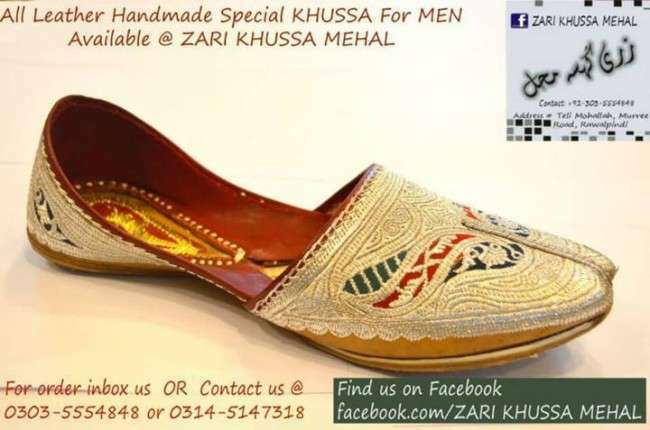 Khussa Mehal is one of the renowned brands that is famous in making wide variety of khussas. This collection has been designed with wonderful color of bright and dark combinations adding with red, white, blue, pink, purple, yellow, brown, black, green and many other inspiring shades. So now let’s have a look of Latest Khussa Collection 2014 for Women that will inspire you and don’t forget to grab these on your nearest shop. Previous story How Music Effect Teens?